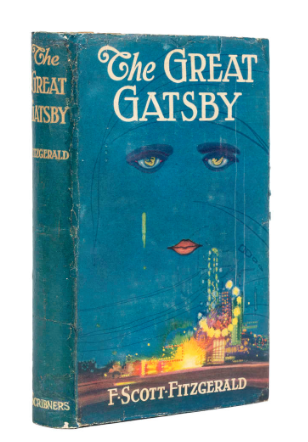 Posters, tote bags, t-shirts and even mugs - the original design for the dust jacket of F.Scott Fitzgerald's American tale The Great Gatsby has become one of the most re-printed works of art - but what's the story behind the blue? And perhaps this might be the best American book cover - designed by a Spanish artist. The tale goes back to pre-1920, artist Francis Cugat, who had previously studied the Ecole des Beaux Arts, Paris, had become well known in Europe, South America and Cuba before he moved to America. In the early 1920s Cugat moved to New York, before continuing his career as a film poster artist in Hollywood, moving to Tinseltown in 1925, a year after he was commissioned to create the cover for Fitzgerald's The Great Gatsby. The year was 1924 and Fitzgerald was behind on his deadline and needed a cover. He commissioned Cugat to create the cover art, who had little to go on, apart from conversations with Fitzgerald and the working title. 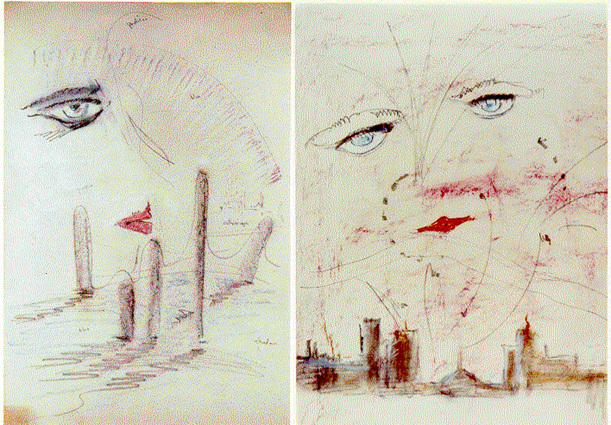 Cugat was paid $100 to create the artwork for the yet to be finished cover. With nothing but an incomplete manuscript for inspiration, Cugat began picking details from Fitzgerald's would be American classic. And did he get it right. The working title of the piece in 1924 was Among the Ash Heaps and Millionaires which echoes the completed text's ''valley of ashes'' as seen in chapter two. The desolate landscape Cugat had originally designed for the cover would later be transformed into the bright lights of what is presumably, New York City. Cougar's original interpretations of the ''valley of ashes'' which would later be turned into an cityscape and a carnival. And eyes, which would become a central piece of imagery in The Great Gatsby, played an important role in Cugat's visual interpretation of the novel. A pair of sorrow-filled eyes and red lips float adrift the night sky above a glowing cityscape. Sadness, excess, hedonism and tragedy: Cugat's eyes evoke all the novels core themes. But who exactly they belong to has been the subject of many scholarly debates for almost 100 years. Do they belong to Daisy - Gatsby's reckless lover, who's ''voice is full of money,'' as the protagonist describes it. Or are they the ''eyes of Dr T. J. Eckleburg'' which loom above the ''valley of ashes'' on a billboard, omnipresent throughout the novel. For Fitzgerald ''the incarnation was complete,'' he was in love with the cover. However, Fitzgerald's contemporary and close friend Ernest Hemingway was not so full of adoration of Cugat's work. The literary pair famously had a tumultuous relationship - with minimalist writer Hemingway often critiquing Fitzgerald for his flowery language. Perhaps Hemingway had never heard the old proverb, as in his posthumously published memoir A Moveable Feast, 1964, he wrote: ''Scott told me not to be put off by it, that it had to do with a billboard along a highway in Long Island that was important in the story,’ he wrote. ‘He said he had liked the jacket and now he didn’t like it.'' Commenting that the cover was ''garish'' and looked like something from a ''bad science fiction'' novel, story has it that Hemingway actually removed the dust jacket the first time he read Fitzgerald's novel. After the first edition had been released, for forty years the novel was published with different covers. It was not until 1979, when Charles Scribner III decided to bring Cugat's original design back to bookshelves around the world. Scribner inherited the original cover from his cousin, George Schieffelin, who discovered it in a bin labelled ''dead matter.'' Today, the Cugat's original artwork for The Great Gatsby is part of the Princeton University Library's Graphic Arts Collection. 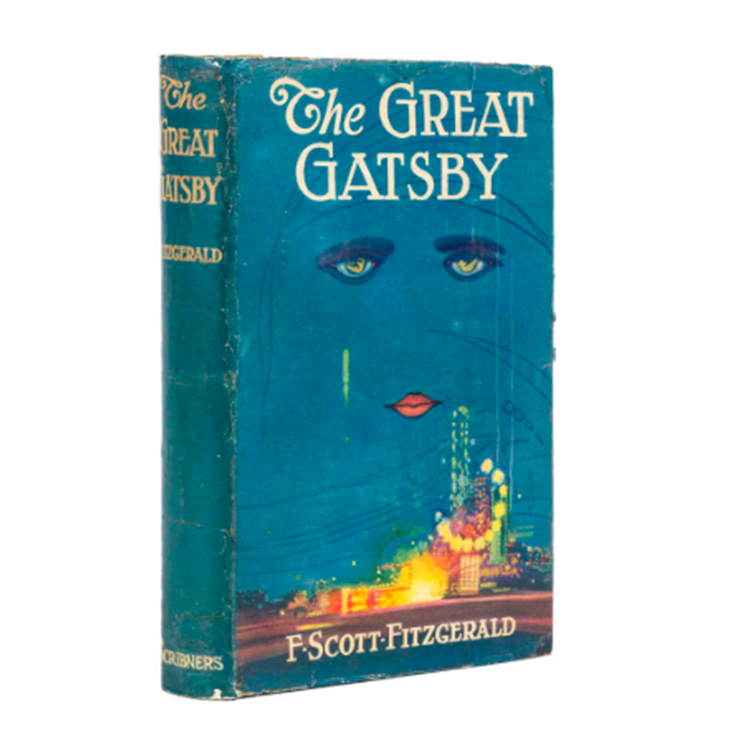 The first edition of The Great Gatsby featured in this article will be included in Forum Auctions' Fine Books and Works on Paper sale on 30th March. Check out the full catalogue here. Where in the World is da Vinci’s Salvator Mundi? Will This Rabbit Set a New Record for Jeff Koons?